After launching an expedition to find the Sword of Hope in a foreign land, the Factions became divided and Civil war has begun! Duke Killian with the backing of the Hearth-guard and the Rangers has declared himself regent during the king’s madness. The Sea Lords and Kingsmen deny his claim and have prevented the Duke and his forces from returning to Olaran. The Weekend Warrior Experience is a carefully crafted immersive event, designed to help you lose yourself in a detailed and fascinating adventure. Step into the world of Olaran, a low-fantasy, medieval, human kingdom where warring factions fight and scheme for dominance. 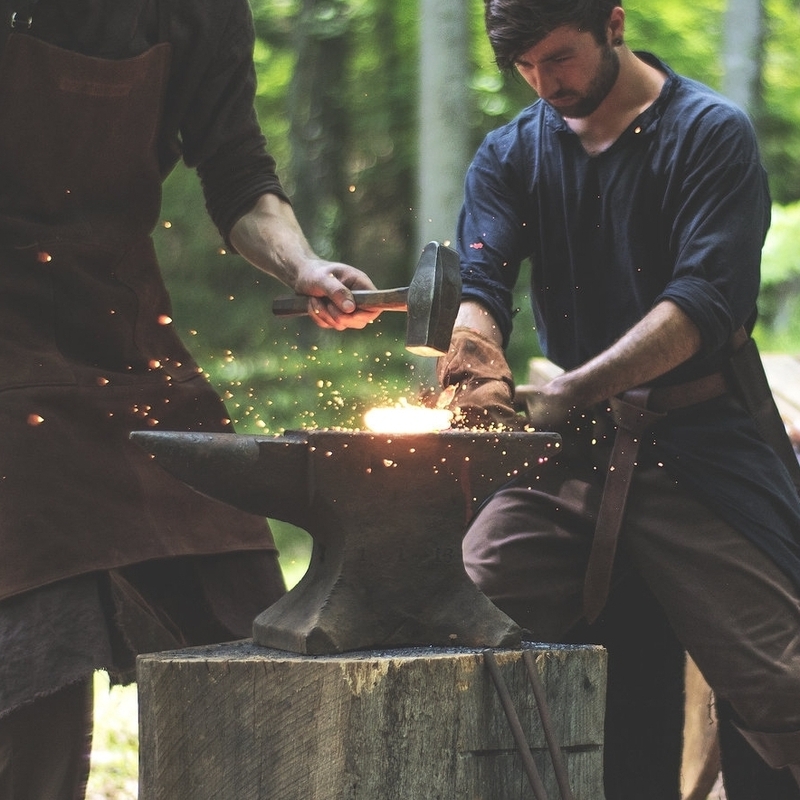 No matter if you are an experienced medieval fighter, or have never taken up a sword in your life, this is an event where everyone's talents, skills and knowledge can be put to use! Designed and run by costume and film studios Fell & Fair Productions and The Forge Studios, Weekend Warrior provides an immersive entrance into a cinematic world. Choose to join one of four factions inspired by historical cultures: the Kingsmen, the Hearth-guard, the Rangers or the Sea Lords. Engage in battle, enjoy fantastic medieval meals and feasts, sing battle songs by the campfire and get carried away by the adventure with your friends. Check out footage from our 2018 event! The 2019 Weekend Warrior Experience will take place at EastWind Castle in Trenton, South Carolina. Our forces are far from their home of Olaran. This "gritty" environment set amongst the pine and scrub forest of South Carolina is their new battlefield. Ruined medieval buildings, forts and encampments will be the backdrop for the drama that will ensue. We respect your privacy. Your information will be used solely for updates about Weekend Warrior.